Wine importer and wholesaler Borvin Wines International was founded in Delaware in 1985. The company began selling wine in Virginia and Washington, DC, in 1987. In 1993, Borvin Beverage Franchise Corporation was created by Donald L. Mikovch to offer beverage wholesale and distribution opportunities throughout the United States. 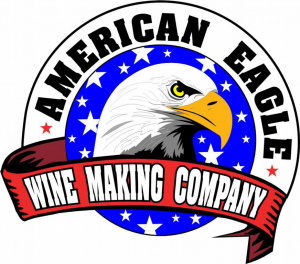 If quality wine is your passion, be part of North Americas leading on-premise wine makers! Crescent Wines offer you the oppourtunity to join the on-premise wine-making revolution and escape a typical career. Founder Gord Andrews has over 35 years of wine making experience and has develped receipes for enhancing the already exceptional wine kits used. 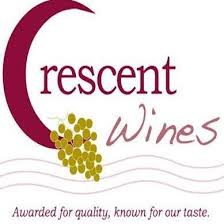 Crescent Wines has won over 225 awards, including 150 internationally. Crescent Wines provides full-training, ongoing support and quality products. 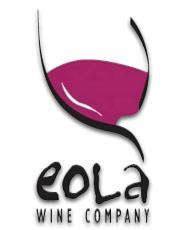 As an Eola Wine Company franchisee, you will live a unique lifestyle. "Tastings" is truly about creating a wonderful and unique "Wine Experience" for our customers. We are Friends, Neighbors, and Wine Enthusiasts who happened upon a remarkable wine bar in Italy. Packaged with personalized labels, wine sold by Sanford and Annalisa French's company comes from vineyards in California and cellars in Europe. First opened in Atlanta in October 2000, The Grape is a proven, popular concept that combines two complementary revenue elements: a wine bar and retail store. It's not your father's wine bar. But it might be your mother's, sister's or wife's. Courting urban females is one of several new wrinkles for the operators of today's trendy new wine bars, which are portraying wine as an "experience" rather than a mere beverage. These wine bars are growing in popularity and one could be yours! My name is Ronald Voss, but please call me Ron. I obtained my import license in 2008 while providing tax, accounting and wealth management advice as a CPA, a CFP, and CSA to my clients in my practice. It was my passion for wine that motivated me to enter this business of importing wine. Vintner's Cellar Franchising International Inc. is the largest Custom Winery franchise in the industry with over 50 locations world wide. Water 2 Wine is a custom winery which offers a wine experience with wine tasting and making your own wine. 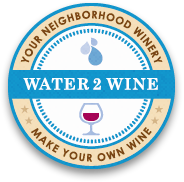 Water 2 Wine was started by John McFadden,opening the first Water 2 Wine in 2003 in San Antonio. Wine Kitz is Canada's largest retail winemaking franchise with over 95 locations across the country. Benefit from a growth industry as wine consumption in Canada continues to rise. Backed by 46 years of industry experience, Wine Kitz has over 80 exclusive product varieties including our extremely popular Limited Release Wines. Welcome to the section of the wine business opportunities for sale. Here you will find wine franchises, liqueurs franchises and spicy oils franchises. This section contains exclusive, refined and undoubtedly profitable business with constant income. Please read carefully the terms and conditions of this section to evaluate your capabilities and choose the best option for you.